Founded in 1895 by Franz Falke Rohen, FALKE is headquartered in Schmallenberg, Sauerland, Germany. From a textile factory that initially produced two dozen pairs of socks, to more than 3,300 employees worldwide today, FALKE has distributed in more than 30 countries around the world. The annual sales reached 230 million euros in 2017. Through four generations of inheritance, FALKE has been maintaining the family business model ever since. 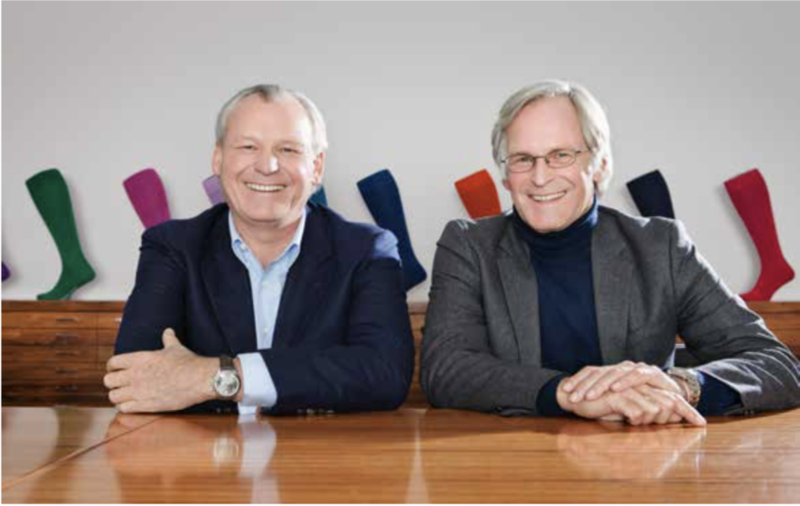 The FALKE Group is now managed by Paul Falke and Franz-Peter Falke, the family’s fourth-generation heirs. They had an exclusive interview with Luxe.Co in September 2018 and explained in detail the brand’s management practices and the latest plans for the China market. They also revealed that the brand would further expand in the China market, by adding more stores in cities like Beijing, Shanghai, Guangzhou, Shenzhen, Chengdu, Chongqing, Hong Kong, and Macau. 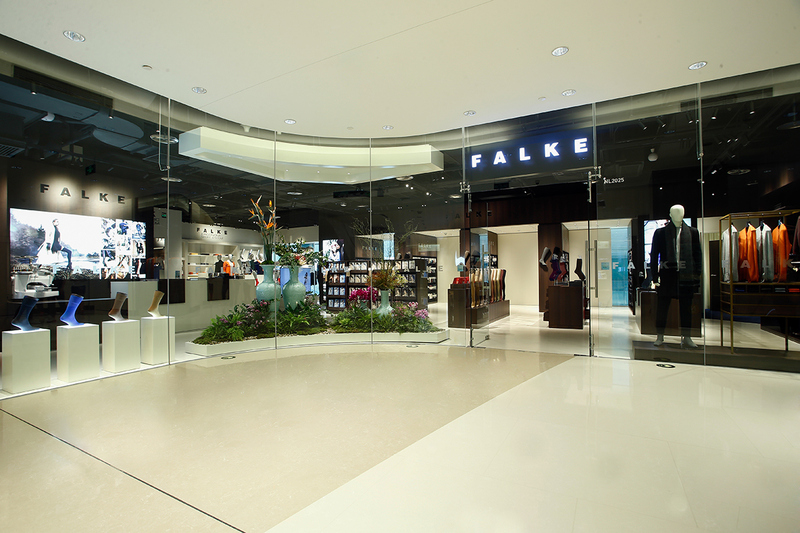 In 2015, FALKE opened its very first store in China. Later, to further enhance its presence in the China market, FALKE established an exclusive partnership with Bingchen Technology (BCDT) to open FALKE brand stores in Shangjia Center in Shanghai, World Trade Center and SKP in Beijing, Times Square in Chongqing , and IFC in Hong Kong. FALKE also launched its self-operated store on JD.com and TMall flagship store to attract more online traffic. Paul Falke emphasized that the China market is vital to FALKE. The brand will keep opening new stores in top-tier cities as planned. Meanwhile, FALKE will also increase the sales of existing online products and improve after-sales service to enhance consumers’ online shopping experience. Luxe.Co: We noticed that Paul worked for a consulting firm before joining the family business. What expertise or experience did Paul bring to FALKE’s management from the previous job? How do you two work together in daily operation? Paul Falke: Gaining experiences outside the fashion industry made me a better managing director, because I learned to accept rules and was able to start at FALKE as an experienced CEO. I think it is necessary to gain your own experiences before working in the family business. My previous occupational activities gave me the best foundation for my management role at FALKE. My cousin Franz-Peter Falke and I are responsible for the whole company as managing partners. We take joint decisions, react together and have no separate business units. Luxe.Co: Compared with other hosiery brands, what do you think is the core competitiveness of the FALKE? Falke: Offering modern clothing for modern people has been our mission since many decades. It is a self-perpetuating mission, repeatedly challenging and satisfying. This curiosity and desire to dive into different cultures, to feel it and to understand it, to anticipate from this the wishes and needs and to translate them into specific and perceptible offers, is our permanent challenge and basis for original innovation and uniqueness. We are outstanding in terms of quality, craftsmanship and materials with 123 years of experience. Luxe.Co: It is not easy for a family business to continue to the fourth generation. FALKE’s annual sales has reached 230 million euros in 2017. What do you think is the most important factor for the success? Falke: To develop a company sustainable, it is indispensable to have an own, subjective, very personal ideology, a liberal vision and idea of how to positively contribute to the society with a clear strategy, continuity and discipline. Equally important is a large, never ending curiosity to anticipate future developments and to think relevant ideas integrally, and courageously implement them with foresight, creativity and drive. To make this attitude perceptible over and over again, in the end leads to the addressee’s sympathy which the seal of quality “brand” confers. We have researched a lot on the consumer side and have always worked on the principle: how can we best meet the needs and dreams of consumers. The development of our brand desire largely happens autonomously, almost separate from the product.It takes place on the level of sympathy between our customers and us. Luxe.Co: FALKE’s products have been distributed in more than 60 countries; what’s the position of the Chinese market in FALKE’s global developing strategy? Falke: Since 2014, FALKE has been increasingly active in China, a country that is focusing more and more on quality, style and brand attractiveness. After several shop-in-shops and partners stores, the first and largest flagship store so far was opened in 2017 in Beijing supported by the Chinese partner Raymond Guo (BCDT). We subsequently opened more stores in Beijing, Shanghai, Chongqing and Hong Kong, and continue planning to open stores in other cities soon. The presence in the Chinese market is a must for us and we will strengthen our presence in the future. Our Chinese partner, BCDT works exclusively with partners in the premium market. The team has a high retail and online expertise, exactly what we are looking for. The company sees itself as an expert in the area of international business relations between Europe and China and is therefore the perfect partner for FALKE to increase brand awareness. 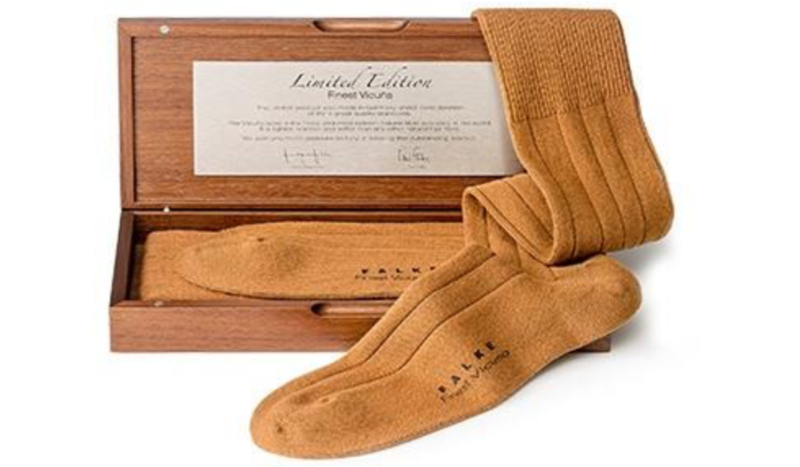 Luxe.Co: What’s FALKE’s store opening plan? What’s the online strategy? Falke: We will focus on Beijing, Shanghai, Guangzhou, Shenzhen, Chengdu Chongqing, Hong Kong and Macau to expand our FALKE stores. In addition, we intend to reach all over China with e-Commerce and whole sales. We launched our JD and TMall online shop this year, further improving the online product variety step by step. We are also improving the after sales service to enhance customers’ online shopping experience. Luxe.Co: How have you elevated the brand awareness in China? What’s the plan for social media? Falke: Elevating the brand awareness depends mainly on product quality, design and packaging in order to adapt to the Chinese market. We update our social media postings regularly to increase our followers, expand the followers generation gap, and build up the brand awareness to different customers. We hope that customers will be attracted to our brand story. After all, this is a long-established brand with a great brand culture. Luxe.Co: Luxe.co is the most professional fashion business media in China. We have conducted consumer surveys in two consecutive years featuring mid-to-high-end millennial consumers’ preferences and behaviors. As young customers’ consumption power continue to increase, how do you attract and communicate with young consumers? Falke: The communication with young customers is an important element of our communication strategy. Young people are our future customers. They need to be introduced to the premium market early to get that special sense for the importance of high quality. We convince them with a clear corporate identity on all our channels – online and offline. Luxe.Co: What unique characteristics did you find about the Chinese market and Chinese customers during the past few years? Based on this, what is your development strategy in China? Falke: Style and taste of fashion are different in Asia compared to Europe. We are planning to make special products for China or launch limited editions during Chinese local celebrations. Falke: FALKE combines tradition and modern trends at the same time. Innovations are important parts of our global orientation. We improve our technologies and use our existing expertise for new ideas. Now, for example, we have cooling yarns in some of our socks that keep feet comfortably cool throughout the spring and summer months. Innovation can also be reflected in our compression line for men and women, which satisfies the perfect symbiosis of performance and design. Additionally, we have our own innovation lab where we conduct research with the overarching aim of bringing our tradition to the future. High technology products such as FALKE Impulse and FALKE Achilles socks are unique in the world. These products show how innovative our brand is. Luxe.Co: Luxe.CO believes in innovation driving fashion forward. How do you see the relationship between fashion and technology? Will you employ technology devices in stores to improve consumer experience? Falke: With the development of technology, many high-tech products are best combined with fashion elements. 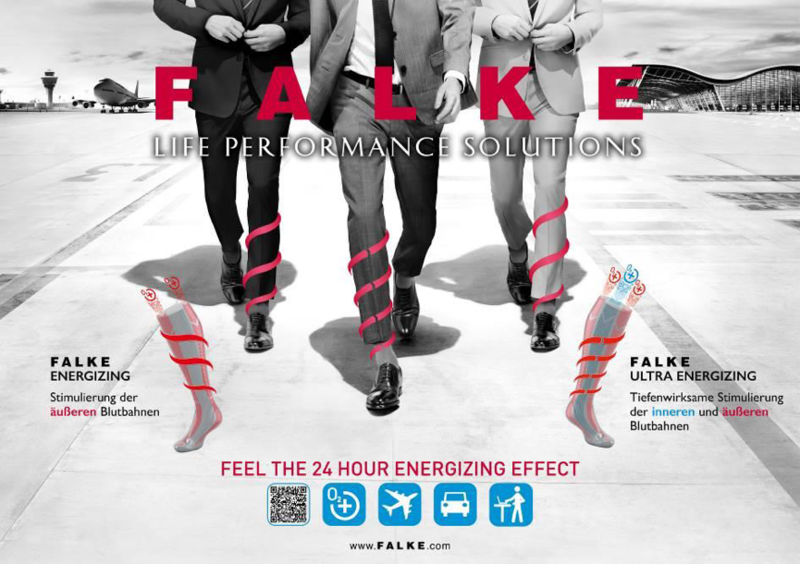 FALKE products always have a combination of technology and fashion. We prefer to provide the highest technique and quality of FALKE products in stores, which is an essential factor for the success of the company and its brand. PREVIOUS POST Previous post: Luxe.Co Exclusive Interview with John Lobb | How do classic brands transform in the China Market?